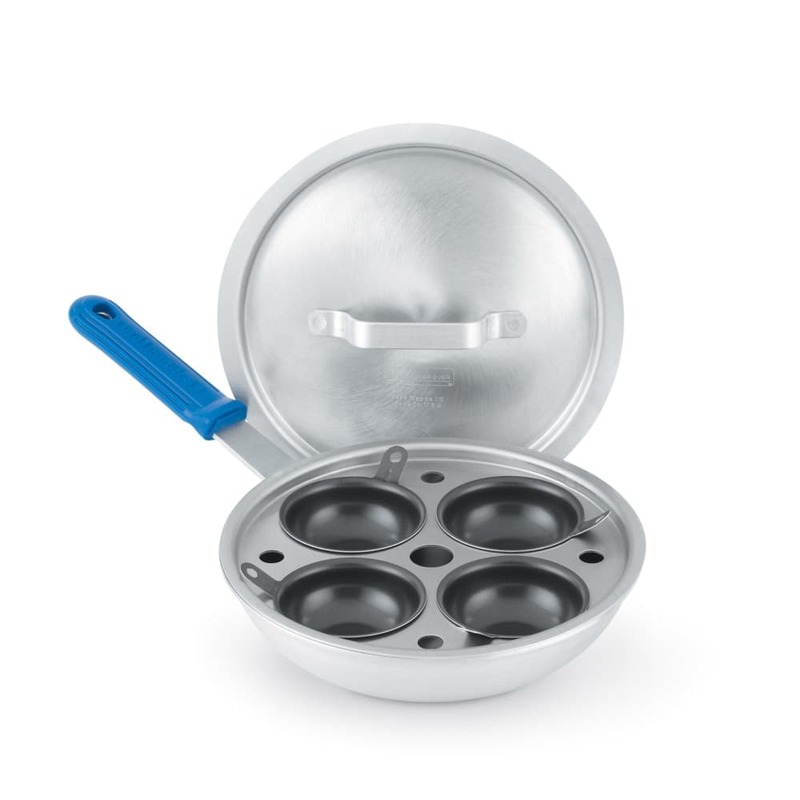 "This Egg Poacher is advertised as having "Quick-release cup surfaces with non-stick coating increase efficiency". Not even close. Good luck gett..."
"After reading reviews on competing products I came across this one. I felt that because of their commercial product line and industry reputation,..."
"This Egg Poacher is advertised as having "Quick-release cup surfaces with non-stick coating increase efficiency". Not even close. Good luck getting the eggs out without practically using a crow bar. And plan on having plenty of time and energy to get the cups clean after using." "After reading reviews on competing products I came across this one. I felt that because of their commercial product line and industry reputation, they wouldn't market a pan that was substandard and purchased it. Not only am I not disappointed, I am thrilled with the quality from the rubberize handles on the pan and lid, easy to clean cups and the weight of the pan. The slightly higher price is worth knowing it will last for a very long time."